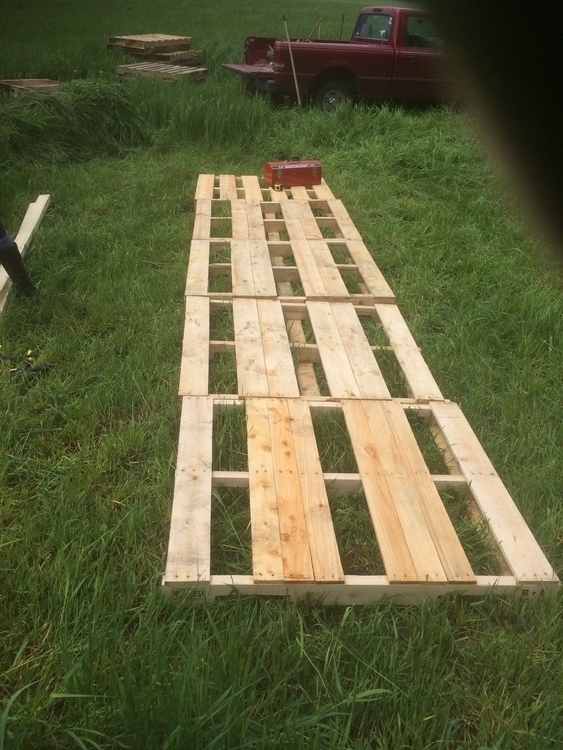 We built the floor of our house out of pallets (dirty hipsters). Although the concept for this came from the internet we had an incredibly difficult time finding actual plans, so we just kind of made it up. 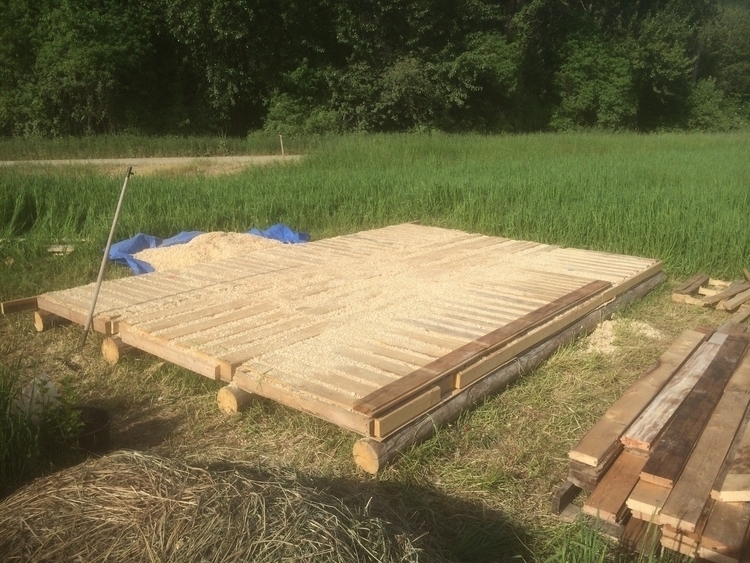 The floor measures 10'x16', using 2x4's to secure the pallets together on the tops and on the sides in rows of four and five. Awkward to imagine, and even more awkward to put together. Even the the materials were free, next time we will use a different method. This gives a bit clearer image of what I described above. Filled the cracks with wood shavings and started attaching the 2" thick tongue-in-groove that we had torn out of an old barn. Yeah. Wouldn't use wood shavings next time.Well, actually a more accurate statement would be that we just wouldn't build the floor like this at all. We should have used vapour barrier as well, the wood shavings aren't air tight and we have many little drafts coming through the cracks that widened from exposure to heat and moisture over the summer. I'm not sure what a good, cheap and environmentally sound alternative would be. We struggled a lot finding a balance between those three points while building.